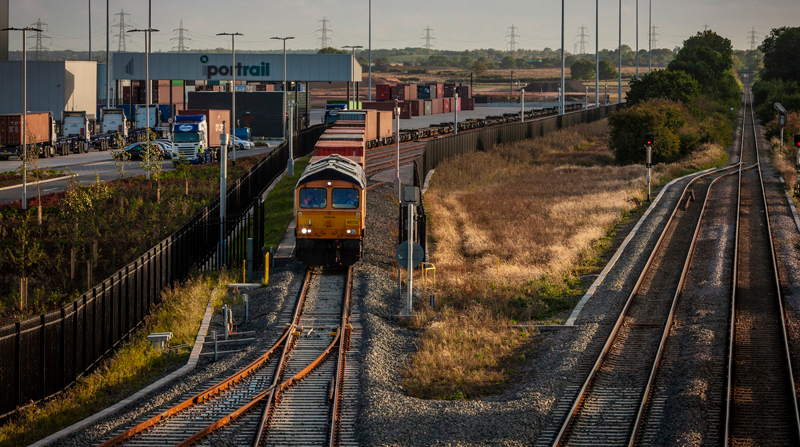 A video surveillance system installed by Daemon Fire & Security, based on an AMG Systems-supplied Ethernet switch network, is helping to protect the UK’s first new inland rail freight hub for over a decade: iPort Rail. The iPort project near Doncaster, South Yorkshire, offers six million square feet of space across 337 acres. The massive park is already home to enormous distribution facilities for companies like Amazon, CEVA, Fellowes and Lidl, and its occupancy is set to expand in the coming years. The newly developed iPort Rail terminal, located on its own 30-acre site within iPort, is connected to the electrified East Coast Main Line via the South Yorkshire Joint Line. It offers integrated access to iPort, meaning occupiers can directly approach the rail terminal using their own specialist vehicles on the facility’s private roads. The terminal can handle up to six trains a day, operating 24-hours, six days a week. Each train is able to be the maximum UK length of 775m. iPort Rail has an 800m reception siding and two 400m handling sidings, with storage capacity for 1,500 shipping containers. With iPort Rail playing such a crucial role in developer Verdion’s iPort transportation strategy, there was a pressing need to ensure that the terminal has effective ongoing video monitoring. Buckingham Group Contracting Ltd was responsible for the work on iPort Rail, and they worked with CCTV specialist Daemon Fire and Security to implement the video surveillance system for the perimeter of the terminal. 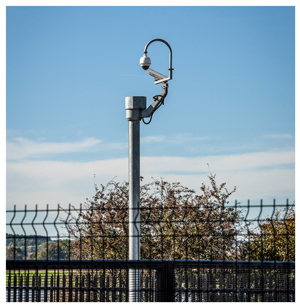 There are 32 cameras mounted on 18 towers around the rail terminal site perimeter. Tattersall explained that the cameras are primarily used as detectors to monitor for trespass or intrusion. The system is networked using equipment and expertise from AMG Systems. Daemon and AMG designed a failsafe fibre optic ring system together, Tattersall said. The industrial managed switches, 20 of which were used in this project, are able to operate in temperatures ranging from -40°C to 75°C and are designed for medium to large network environments to strengthen network connections. AMG Business Development Director Sara Fisher said AMG was thrilled to be involved in this project. “We were delighted to be asked by Daemon to contribute our design and product expertise to help protect this important and growing freight hub,” she said.